Sudbury Handyman Services can seal, stain, paint, power wash, sand, clean, fix or build your deck. A nice home deck provides a beautiful and relaxing spot for you and your family to enjoy the outdoors. It's important to stay up to date on deck maintenance in order to enjoy that relaxing space. Since you have better ways to spend your time, call Sudbury Handyman Services. Our professional handymen are ready to help you with all your deck repair,deck maintenance and deck building needs. Decks suffer from a variety of common problems caused by normal wear and tear. Wood becomes loose or cracked. Boards start to give too much, which can result in nasty trips. Handrails start to loosen. The support posts grow old. All of these issues are correctable, and Sudbury Handyman Services has the expertise to fix them correctly. We will come to your home, examine your deck, and make the necessary repairs to ensure that your deck is safe for your family and ready for the spring and summer seasons. By starting right away, we won't waste your time, and you won't have to call multiple contractors for a single project.These small repairs will lengthen the lifetime and beauty of your deck for years to come. Sudbury Handyman Services can seal, stain, paint, power wash, sand, clean , fix, resurface or just build you a new deck. Whether it's loose boards, tired surfaces, or just plain dirt, one call to Sudbury Handyman Services does it all. Do you want to spend summer evenings relaxing in the twilight with a drink, some food, and some family and friends? Spending time on the deck when it's warm outside is a favorite activity enjoyed by many. Make sure you're prepared to make the most of your outdoor space by calling Sudbury Handyman Services. • Repair: Decks need to be fixed from time to time. Before power washing and sealing, have Sudbury Handyman Services address broken boards, loose railings, or other damage caused by fire, rot, ice, or other common culprits. Learn more about deck repair . 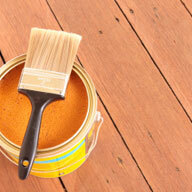 • Sanding, Sealing or Staining: Your deck wears down each year because of sun exposure and harsh weather. An annual seal will help prepare it for the upcoming year, and if the color of your deck has faded, then staining is also a good choice. Learn more about our painting/staining services . • Cleaning: Before Sudbury Handyman Services seals your deck, it is a good idea to power wash. Sudbury Handyman Services performs power washing services (also known as pressure washing) that remove built-up dirt and debris. Learn more about our power washing services and professional deck cleaning . Call Sudbury Handyman Services to request service today. We can also tackle the other projects on your "To Do" list, like bathroom tile installation' deck repair, drywall maintenance to custom cabinetry and fence installation , Sudbury Handyman Services can check off all the jobs on your "To Do" list for you! Professional deck cleaning by Sudbury Handyman Services will have your deck looking brand new! Enjoy the beautiful weather on your professionally cleaned deck, thanks to Sudbury Handyman Services. We take special care to ensure that your deck is clean and ready for you to enjoy. In fact, we include a full guarantee on all home improvement and maintenance projects. Our professional deck cleaning service will properly clean and seal your deck, ensuring that it stays pristine throughout the seasons. 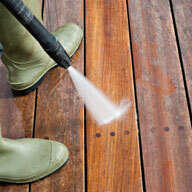 In order to clean your deck, we will use a pressure washer that removes dirt and debris quickly and efficiently. Learn more about our power washing services . We can also help with routine deck maintenance tasks during our visit - including fixing sagging boards or creaky railings. With Sudbury Handyman Services, your deck gets a complete tune up that will help it last for years. In addition to professional deck cleaning, we are available for many other outdoor home maintenance tasks, like door installation or rain gutter repairs. When you request service with your local Sudbury Handyman Services, we can help you work through your outdoor home and deck maintenance "To Do" list. With help from Sudbury Handyman Services, you can spend your time doing the things you truly enjoy, while we take care of outdoor home maintenance! Sudbury Handyman Services Marine composite deck boards are specifically designed for use at marinas, on boardwalks, on floating docks and in pool and spa area's. Stands up to extreme pier pressure. Sudbury Handyman Services Marine Decking is offered in stouter boards (1-1/4" thick by 5-7/16" wide) designed for 24" on-center joist spans that are common to marine construction. It’s made using composite decking, comes in the same four colors, and provides the same exceptional longevity and low maintenance requirements. 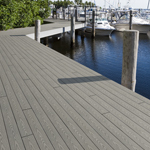 All of which makes our Marine Decking the peerless choice for your next waterfront project. Sudbury Handyman Services Marine composite decking is covered by a 10-year limited warranty when installed in commercial applications and a 25-year limited warranty when installed and used in residential applications. Call Sudbury Handyman Services to request service today. We can also tackle the other projects on your "To Do" list, like custom cabinetry and fence installation , Sudbury Handyman Services can check off all the jobs on your "To Do" list for you!